PHOENIX, ARIZONA (October 17, 2017) – NAI Horizon Senior Vice President Laurel Lewis and Vice President Tom Bean, CCIM, negotiated two long-term office leases totaling $1.29 million on behalf of the landlord, the State Bar of Arizona, at 4201 N. 24th St., in Phoenix. 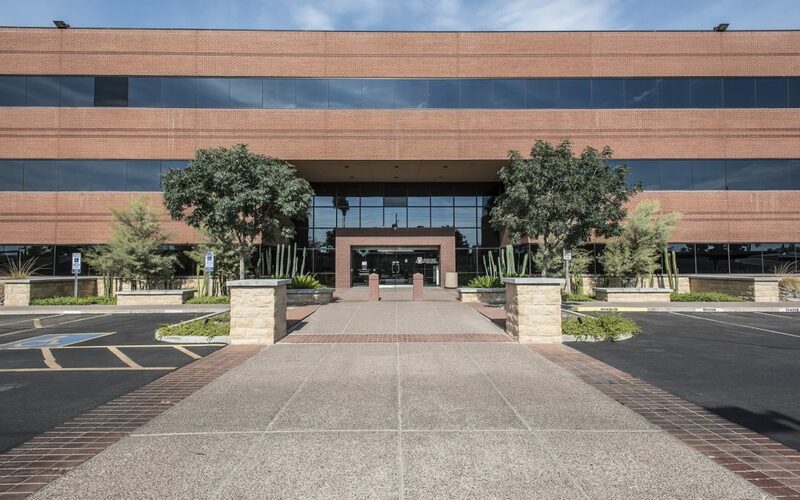 NAI Horizon negotiated a long-term lease worth $955,185 for Arizona Foundation for Legal Services and Education. It will lease 4,962 square feet. The nonprofit foundation prepares Arizona youth for civic responsibility and provides access to justice for Arizonans most in need. NAI Horizon also negotiated a long-term lease worth $337,445 for Weight Watchers of Arizona, Inc. It will occupy 2,878 SF. Built in 1985, the building totals 68,710 SF. Other tenants include Tyler Allen Law Firm and Total Networks. Weight Watchers was represented by Jack Stone of JMS Commercial Real Estate Services.